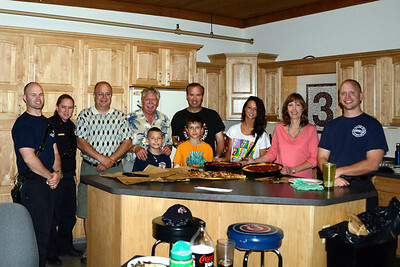 Firefighters from Naperville Station #3 invited several members of the Exchange Club of Naperville to their weekly "Pizza Night!" 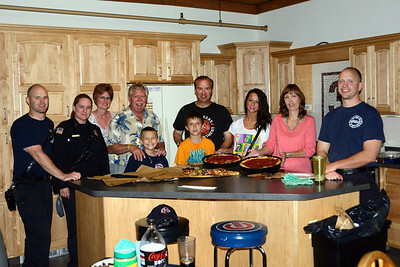 Every Saturday every Station in Naperville makes home are pizza's! 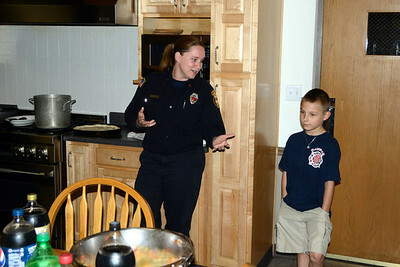 I took Joy and Nathan along. 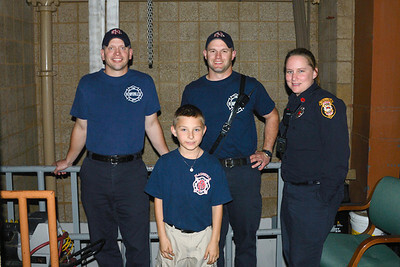 Nathan was in all of his glory at the Fire Station! 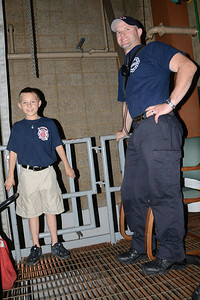 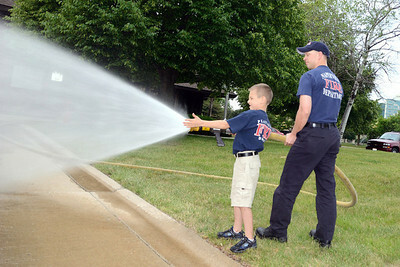 The Firefighters really enjoyed having hime there, as you can see in the photos! 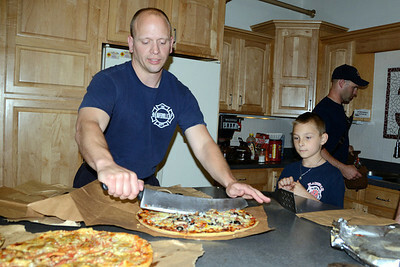 These photos were taken by Jim Hoch.